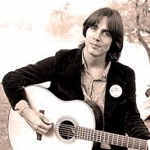 Learn how to play the songs by Jackson Browne note-for-note on guitar with The Jackson Browne Guitar Lessons. Each lesson includes the playthru, video lesson, songsheet with chords and tab. I’ll add it to the to-do list Kim.